All Alone is a beautiful concept album of Frank Sinatra from Reprise Records in 1962. The album was planned to be named as Come Waltz With Me, but later on the name is changed to All Alone and album is released with that name. Songs are arranged by Gordon Jenkins and many of the songs are by Irving Berlin. All Alone is a concept album. The songs are about a man whose girl left him, or unaware of him. Though the album is underrated in the music world, Frank Sinatra fans are aware of the fact that this album is a real masterpiece. In the album All Alone, all of the songs are very beautiful and worth listening. There is not a single bad song. But of course, All Alone, Charmaine, The Song Is Ended, What’ll I Do? and Indiscreet are really special. 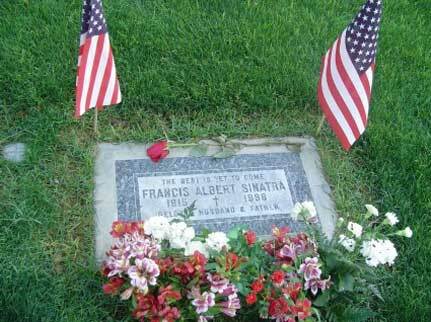 They are not only the best songs of the album, but also the notable songs in Frank Sinatra’s career. But he didn’t prefer the songs of this album in his concerts. In the video below, you can listen to the 2nd take of “Come Waltz With me” by Frank Sinatra in studio. Last but not least, Are You Lonesome Tonight is a nice song of the All Alone album, always a classic. The cover of the album was a painting in Sinatra’s home. “When I Lost You” is a standout and “The Girl Next Door” is far better than the capitol version. Underrated LP! Can anybody tell me who the female singer was on “All Alone”? Wonderful song, wonderful album by the master! you have got to be kidding, comparing elvis to sinatra ! sinatra was a master singer. a tesla. elvis was a volkswagen. if that ! don‘t you know art ? you need to be in the garbage business….. !!! Who was the soprano singer? Have you received An answer to your inquiry “Who was the Soprano singer?” I too, am curious. Beautiful voice!